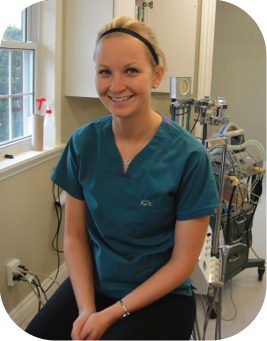 Loralee graduated from Regency Dental Hygiene Academy in 2008 and is currently working as a dental hygienist in Madoc. As one of the three Craig children, Loralee is very familiar with Stirling Veterinary Services. Professionally, Loralee started preforming dental cleanings under veterinary supervision in 2010 when she began to work as a paid employee rather than a family volunteer. Her qualifications and experience allow us to provide professional and efficient dental care to our patients. Loralee is a proud mother to 2 children as well as 2 bouncy boxers. She is a very active sports enthusiast enjoying team sports like soccer and social events such as planned running events.